Hainan Airlines is offering flights from Toronto to Beijing, China for $635 CAD roundtrip including taxes. The flights are on one of the world's highest rated airlines, and they are non-stop flights. Update: Most dates between October 2016 and May 2017 have now dropped to $649 CAD roundtrip including taxes. See update below. 1. 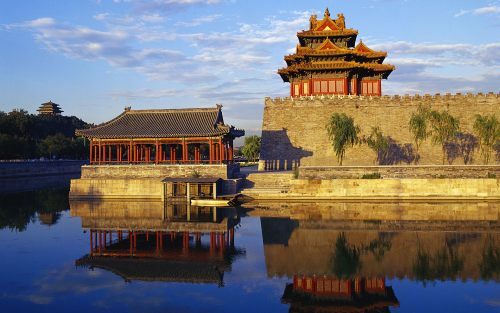 Go to Skyscanner and search for a flight from Toronto (YYZ) to Beijing, China (PEK). 4. Change your dates to other dates in November or the first half of December 2016. NOTE: As long as you depart by December 8th, you can come back as late as December 29th, for $635. Update 10/12 - Most dates between October 2016 and April 2017 have now dropped to $649 CAD roundtrip including taxes. Click on the departure date box to open up the calendar view and look for date combinations between October 2016 and May 2017 that are $666 CAD roundtrip including taxes. You need to depart by April 18th, 2017... although you can return on dates as far away as June 26, 2017. 2. Go to Momondo and search for a flight from Toronto (YYZ) to Beijing, China (PEK). 3 Responses to "Toronto to Beijing, China - $649 CAD roundtrip including taxes | non-stop flights, Oct 2016 to May 2017"
Not finding the deal anymore? Guess it's dead? It looks like there is still a large number of dates between November 2016 and April 2017 for $649 CAD roundtrip including taxes. Try the strategy under 'Update 10/12' in the blog post. Thanks, Chris. When I was trying to find a flight the other day, everything was listed at $800+. It looks like prices are back down, but at around $680. Still a great deal!